A dedicated provider of Municipal Vehicle Hire and Maintenance services and Hyva’s agent in the South West, Collett Transport Services (CTS) has recently purchased two new Scania Chassis and installed new sliding Hyva Hookloading equipment to both vehicles. The vehicles are fitted with Hyva hookloaders suited to eight wheeler chassis for normal operations with containers built with CHEM-TS8 TYPE 20 subframes and each has a lift capacity of 23 tonnes. Hyva’s Easy Width Adjustable Auto-sheeting system provides a simple, easy to operate and quick solution to covering containers up to 22 ft long and 50 cu yd. Both vehicles are London prepped including a Sentinel 4-way camera system and ‘Bike Hotspot’ system to protect cyclists, which features 8 sensors, an in cab display and verbal turning left warning. The system also incorporates a CAN bus module to ensure the system is not activated when the vehicle is moving freely. Additional features include the Truckweigh Axle Overload Protection System from PM Onboard, specifically designed for all vehicles with a mechanical and/or air spring suspension. Vehicle operators can also enjoy a hot water hand wash care of a Teal TW24 Hand Wash Basin unit in the cab. 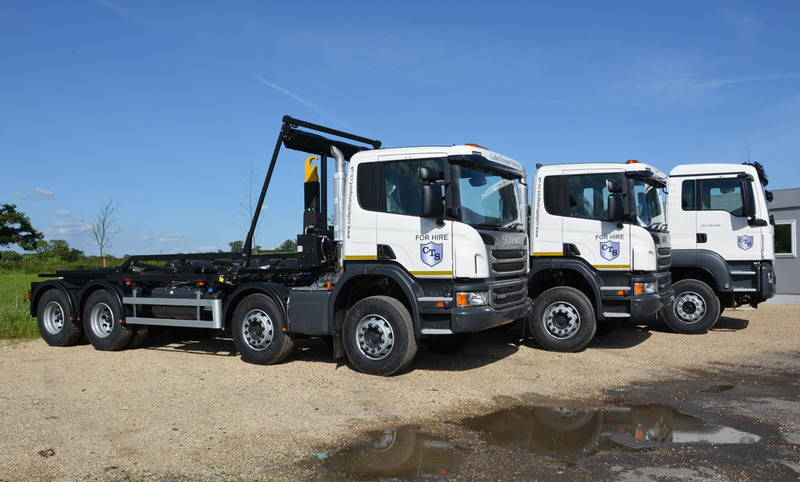 CTS is part of Specialist Fleet Services Ltd (SFS) and offers flexible and competitive refuse vehicle hire packages for the short or long term. The company’s expertise includes total municipal fleet support from contract maintenance, workshop management, mobile repairs, roadside assistance and recovery, and complete vehicle refurbishment.